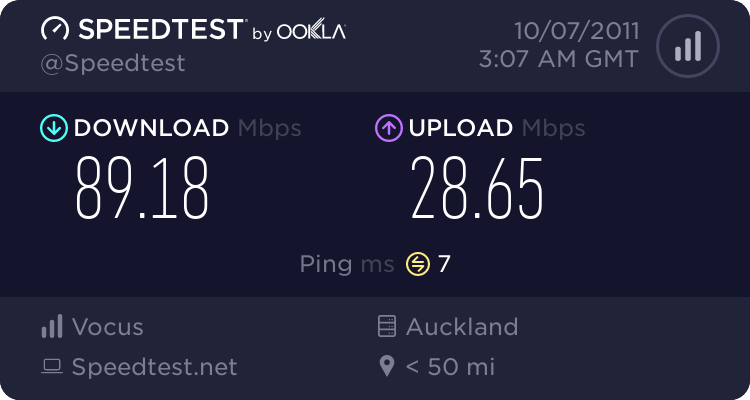 Our organisation has just had UFB installed which is great, except the PPPoe connection requires a VLAN tag of 10. Our Netgear UTM9s does not support VLAN tagging on the WAN interface. So I purchased a Mikrotik RB750 which I thought could do the tagging for me. However I have no idea how to get the UTM9s' WAN port to talk to the Mikrotik. I can get the Mikrotik to connect to the ISP via PPPoe, But what I really need from the Mikrotik is to just out bound tagging allowing the UTM9s do the PPPoe connection. You simply create a VLAN10 on the interface you're using for WAN and then use the VLAN10 as your external interface. I think I understand what your saying. I have created on the Mikrotik VLAN10 on eth0(default WAN port) and assigned VLAN10 my static IP. The bit I dont understand is getting the UTM9s' WAN2 port to talk to the eth1 port on the Mikrotik - I see no traffic on the eth1 interface. You can do it a couple of ways..
or you can do it in the Switch config of the router. interface bridge port set ether0 bridge=bridge1 priority=128 path-cost=10 - To add the physical eth0(WAN cable from UFB) interface to the bridge. interface bridge port set ether2 bridge=bridge1 priority=128 path-cost=10 - to add the physical eth1(Cable connecting UTM9s and Mikrotik) to the bridge. interface bridge port set VLAN10 bridge=bridge1 priority=128 path-cost=10 - to add the VLAN interface (required tagging) to the bridge. Is there maybe a better way? You just want to bridge the VLAN and the port used for the connecton to the other router. Okay great I will give this a try, and let everyone know if it works out. How did it go with your bridge setup. I have the exact setup as yours, using a UTM9s now trying to connect to UFB. Getting myself a RB750 for bridge setup as well. Just want to know did you got your working? If so, what was your final configuration? Is that mikrotik model cheaper than a layer2 switch? Zeon: Is that mikrotik model cheaper than a layer2 switch? could anyone help me with configuring trunk ports on Mikrotik device please? I am going to band my head against the wall but I can't figure out how to such a simplest thing on Mikrotik. You have a Router, not a Switch so VLANS are unique between interfaces. You have to bridge the vlans together via a bridge. This is the same with a Cisco (Router). VLANS on a physical interface are unique and you have to use a bridge (if needed) to connect them together. If I understood you correctly - it mean that I need to create a lot of separate VLAN interfaces - one vlan-interface per port and as many bridges as many VLANs I have (five in my case) ? ^^^^^^^ - for eth3 trunk port. Ok now (when I finished this post) I think I got that. My confusion came from my experience working with Mikrotik that had switch integrated but this particular model (CCR) is a router, not a switch. Once you start thinking about that device as a router - it makes sense now. Just wondering what it the CPU overload will be in that case? Thank you A LOT for your help!! You _can_ do it in a Switch way (see my link) and treat the Router as a Switch but start off this way first and then you can play with the switch interface later. CPU will not be a problem at all either way and all this switching is done via Hardware anyway.. just a couple of ways of programming the chips inside it. sbiddle wrote a comprehensive blog post on using a Mikrotik router for UFB VLAN10 802.1Q tagging which is exactly what you want to do.